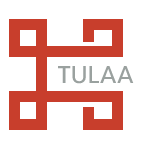 Tulaa (TOO-lah) comes from the Sanksrit word "Tulā" (तुला) meaning "balance", "scale" or "equal measure". Tulā is also one of the twelve months in the Indian solar calendar, which aligns with the harvest in October. The idea is that our marketplace levels the playing field for smallholder farmers in Africa by providing them with the goods, services and information they need to thrive. Tulaa provides smallholder farmers with quality agricultural inputs on credit and brokers the sale of their crop at harvest time. Launched in 2017, we use mobile technology and artificial intelligence to smartly connect farmers, input suppliers, and buyers in a digital marketplace.